It used to be the Treasury, today it is the central FotoWeb server: the place where all the precious things are collected. Here, the format does not matter. Whether photos, videos, audio clips, or texts - the FotoWeb server indexes all media files and makes them available for users. Once you have found assets, you can use it in many different formats. FotoWebs preview with zoom function combines fast and accurate image previews examination. Down individual to each pixel. FotoWeb managed PDFs and MS Office files. Each page is individually called and of course the text can be fully searched. FotoWeb accepts videos in (almost) all formats. Simply upload and the system takes over the conversion, generates intermediate scenes for quick review and presents the clip ready stream in your browser. FotoWeb generate the correct file version for each user. Whether size, format or resolution: you say what you need and FotoWeb immediately provides the appropriate file. The original is not changed. 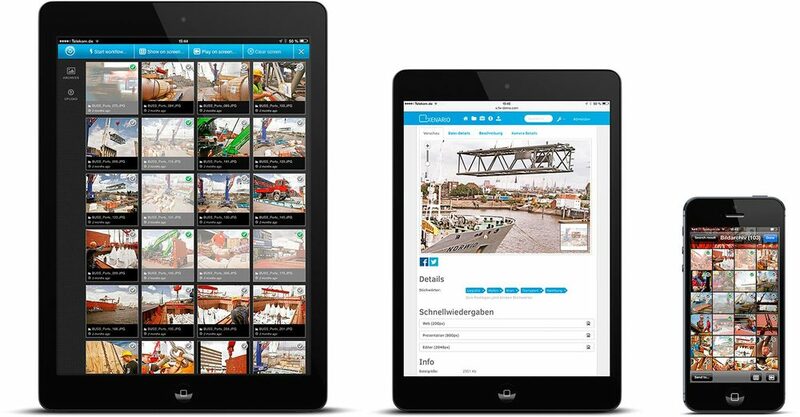 With the FotoWeb Apps for iPhone, iPad and Android, and the Web interface for Windows Phone you have everywhere access to your assets. This is mobile working at its best! Photos, text, video and audio clips: Each file is a small, scattered items (an "Asset") in a large collection of your digital capital. FotoWeb is the Digital Asset Manager, which summarizes this confusing collection, assigns, manages and makes available with perfect precision controlled by you. At each workplace. Anytime. With each tool. FotoWeb boosts your digital assets - in every respect! ... and can be scaled and adapted to your needs. Everyone is calling for order, but no one wants to clean up. Not at home and not on the server. FotoWeb accepts this job. From uploads via the desktop or mobile, to the rights management and sorting, FotoWeb makes workflow easier. FotoWeb brings order to the system and is easy to manage your media. Because successful digital asset management is primarily one thing: a question of organization. With FotoWeb! You can copy all the media files easily with drag and drop directly on the FotoWare server. Or do you have existing stocks from FotoWe ? Browse the Server and index. Or you can upload data via the web interface from the Internet. Or via an app on your smartphone. With FotoWeb the file import is quick and easy and your data is immediately available in the system. No matter what source you are using: FotoWeb accepts , the existing, standards-based supplementary information (the so-called "metadata"). This is especially important when working with professional image databases such as Fotolia. If you need to use legacy data from existing systems, then talk to us about our conversion services. Exporting metadata and merging with image files to form XMP/JPEG files comes as part of our service. Media Mogul - Export and merge - PACS and patient record systems are some examples. Metadata is descriptive text information that is stored with each file. In addition to the technical characteristics it can include a wealth of information, eg on the subject ("Product ABC" or "fisherman's cabin in Norway"), about the circumstances ("Fair 2015") or about the author. 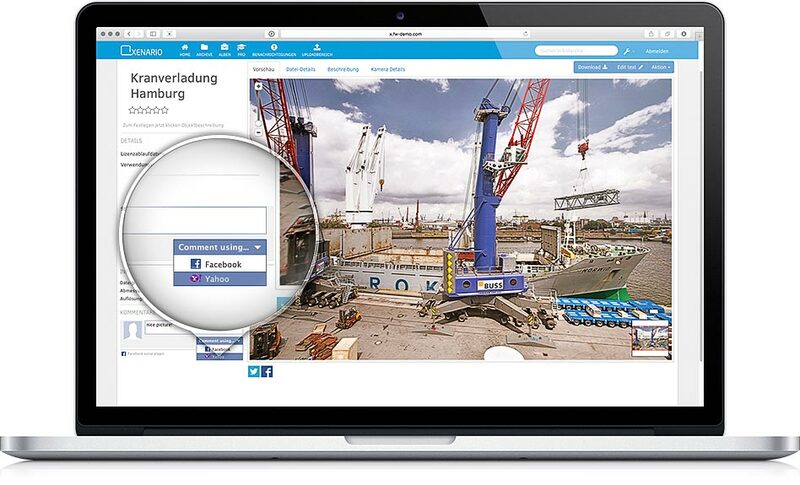 Good metadata are the nuts and bolts of digital asset management. You make a file in the enterprise available and usable for others. This way the file is valuable. Therefore FotoWeb makes the creation and maintenance of metadata particularly easy. As soon as you upload any accompanying metadata are automatically copied into the system. With individually configurable and editable fields keyword lists, you can further refine the metadata and add high quality tagging. In addition, "compulsory fields" are defined which are required at each upload. This is also true for the mobile apps. FotoWeb ensures that only assets come into your system with complete and consistent metadata. Of course, the metadata can be maintained even after the upload. And for professional users the FotoWeb 8.0 Pro client offers a wealth of additional features that make the metadata handling even at high throughput a cinch. In a FotoWare system information about image rights and license expiration date for each media file is included. These properties can be controlled by a utility that controls assets automatically. For example, the rights of use of an image are expired, it is for "normal users" in the system no longer visible and therefore can no longer even be used. It is equally important to know the context in which an image has already been used. FotoWare provides various ways to manually or automaticly manage this function. What I can see - and what I cannot see? FotoWeb has an elaborate system of permissions. This determines which functions are available to every user of an asset available: View, edit, keywording, Download, Delete. Everything can be permitted or prohibited. The authorization system is clear, concise and easy to control. With a powerful interface, FotoWeb can even be linked to your existing Active Directory Services. Low administration costs and per user, and they still need only need one user name and one password. Order and organization are always a matter of one's own requirements. Therefore FotoWeb provides the function of the"Archive". This determines your own order. Individually defined archives form the structure in which your assets are classified based on the metadata. In this case, an asset of course may belong to multiple archives and publish various keywords. A picture of your boss with the new product at the last fair can be tagged under the headings "people", "Events" and "Product Catalogue" appear. Each archive represents a clearly structured detail of your media collection. 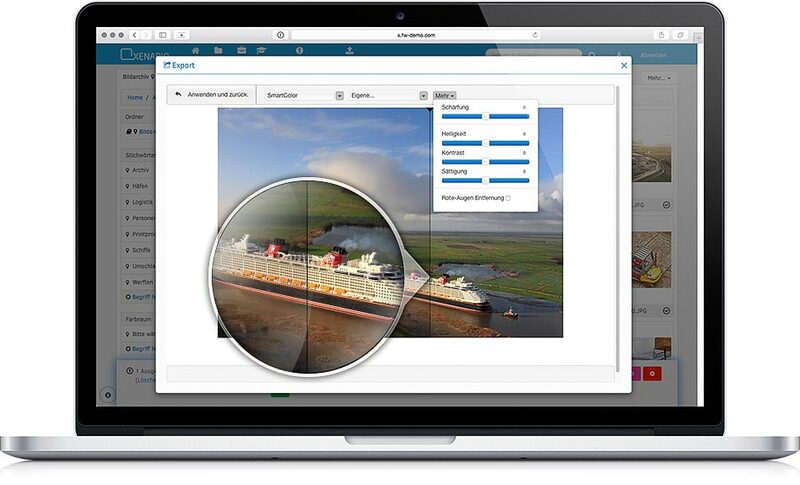 Many users come up with the management capabilities of FotoWeb never in contact. For it is one of something else: they want quickly and easily access their media. You need a simple tool that provides them with the right resources directly into their programs. You must make a final prospectus of a Scribble, cut out a few video and audio clips a promotional trailer or compress a mountain of sheets and tables to a crisp presentation. They are the users who are experiencing with FotoWeb a real productivity boost. FotoWeb puts an end to the separation of media research and media usage. With the FotoWeb plugins using the DAM system is an integral part of your standard application. Users of MS-Office access directly from Word or PowerPoint on their assets. For Adobe Creative Suite, there are equally powerful Photoshop, Illustrator and Indesign Extensions. Use of the system is very intuitive. You stay in your application and have full access to the search functions of FotoWeb. No detours, without restrictions and without extensive training! For FotoWeb search two principles apply. First: Each property of an asset is searchable. Secondly, all assets are searched. This begins with the associated keywords, includes the EXIF camera data, and also extends to the technical professional details not stop as color space and color depth. Everything FotoWeb know about a file is available on the mighty search as search criteria available. And because FotoWeb works very very fast, every search is global, ie the entire media archive. Of course, the search space can be limited to refine. In any case: The FotoWeb Search is a hit! With the FotoWeb workflows to automate recurring tasks. Whether lengthy file transfers, tedious adjustments or metadata standard corrections: grasp the steps once a workflow together and immediately settled FotoWeb these tasks with one click. Workflows are powerful tools, and therefore of course linked to the individual users' rights. Everyone gets exactly the tools needed for the tasks ahead. FotoWeb workflows minimize the routine work and have more time for new customers and new ideas. With the album feature, you can create any collections of assets, for example, a collection of images, graphics and text for the next annual report. A great tool are albums because you can share them with other users. Individual users, user groups, and even external users can access the album. Of course, with individual access rights. Thus, from a simple collection an efficient pool of resources for a project group or a virtual team. Productive collaboration needs of course more than just common resources. Therefore FotoWeb allows 8.0 Online comments on the assets in the joint album. The users can interact directly with the assets and discuss with each other. FotoWeb can be linked easily with the major Internet sites. For your own websites FotoWeb offers various options for connection. From simple Export tool on the flexible CMS widget up to HighEnd REST interface. Just like with the MS Office plug-ins you can embed assets directly into your CMS. Even operations like cut-outs, frame or color enhancements can be used. And of course remain metadata such as receive an expiration date. Shared Assets can also Portals appear in the search engines of Google, Bing or in Enterprise Search. FotoWeb can be searched by crawlers and index-robots - if you allow that! Of course you can share assets directly from FotoWeb on Facebook and Twitter. Click in the preview on the link and log in directly to post the link and appropriate metadata. * Please fill out the required fields.